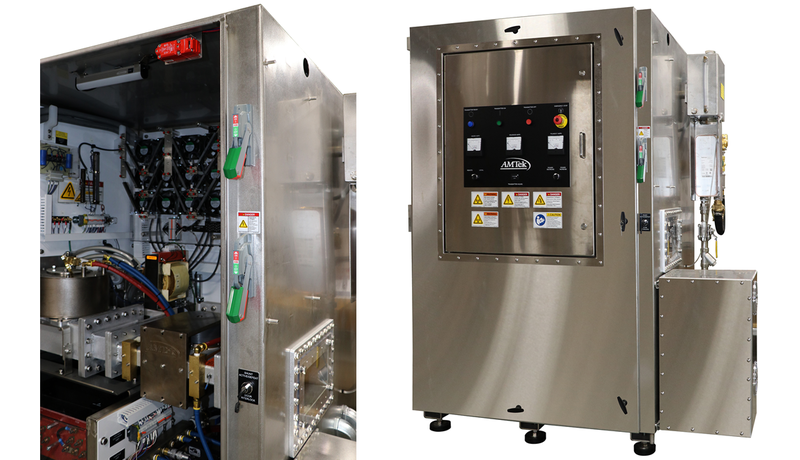 AMTek’s microwave transmitters provide dependable power to your industrial microwave systems. 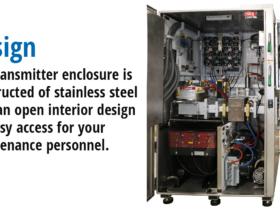 They are manufactured using the latest Allen-Bradley controls hardware which enables flexible design and construction. 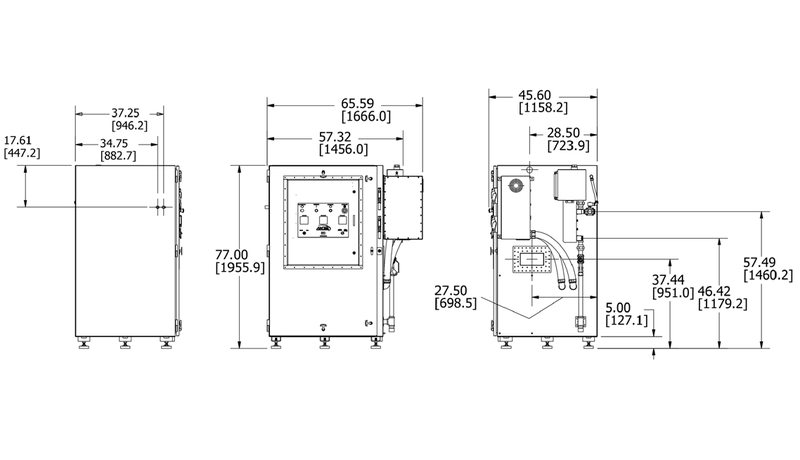 Your microwave transmitter can operate at a frequency of either 896 MHz, 915 MHz or 922 MHz and generate 75 or 100 kilowatts of microwave power. 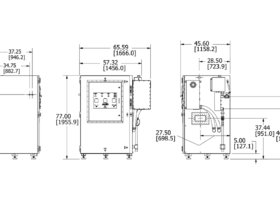 We build our transmitters using transformers designed for the voltage available in the destination country. 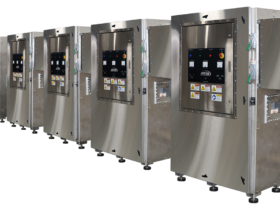 Our microwave transmitters can be used in virtually any application requiring microwave power. 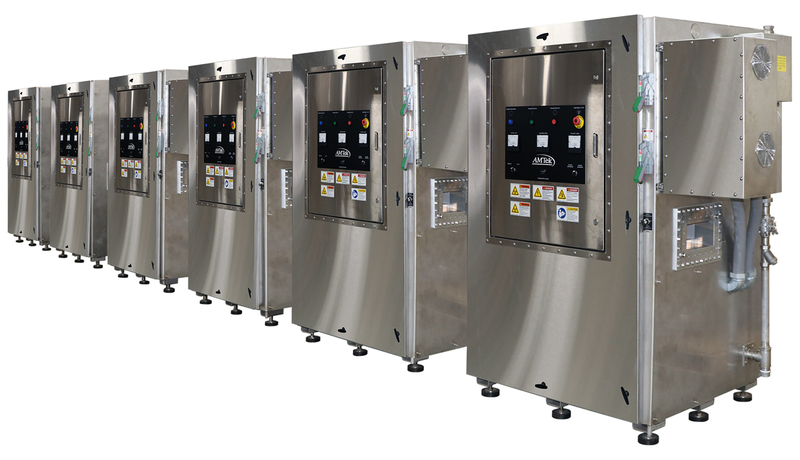 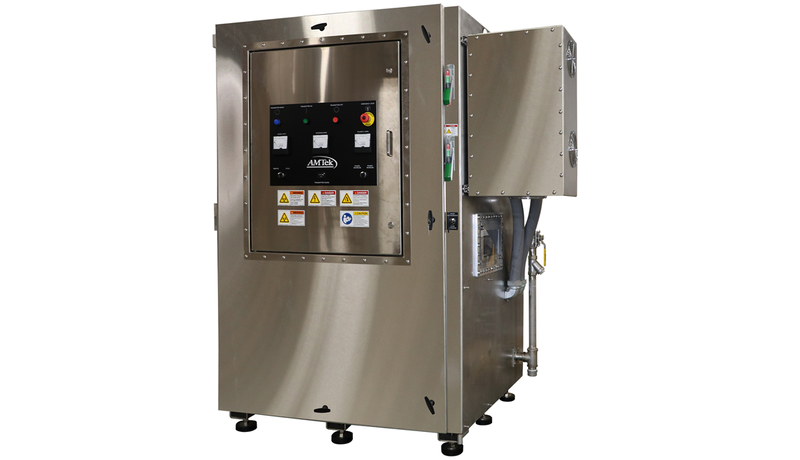 AMTek’s Transmitter can be used as a single, self-contained microwave power unit or it can be used in combination with additional AMTek Transmitters to provide networked microwave power to processes requiring higher power levels. 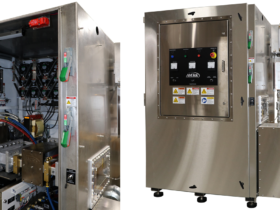 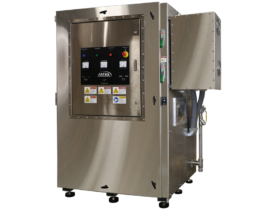 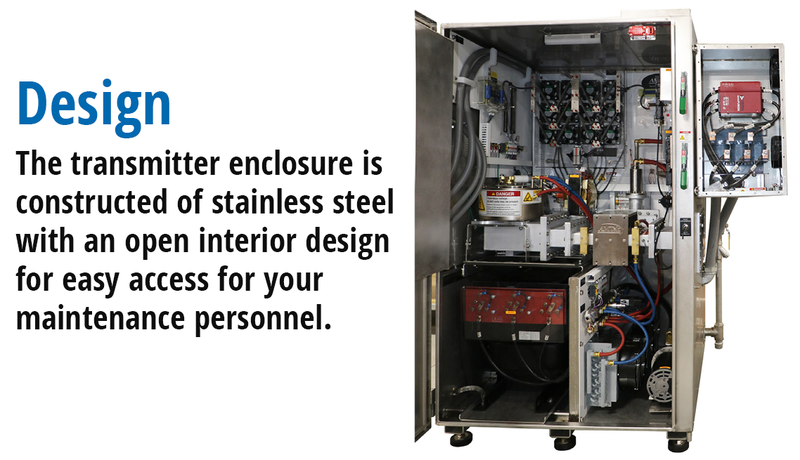 The transmitter enclosure is constructed of stainless steel with an open interior design for easy access for your maintenance personnel. 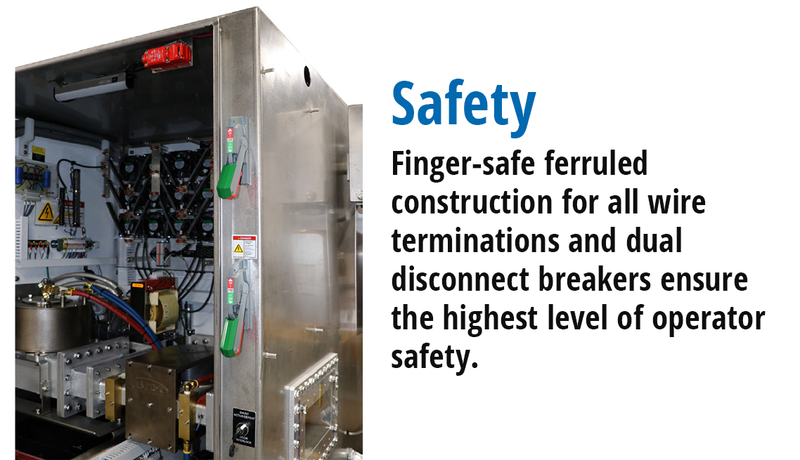 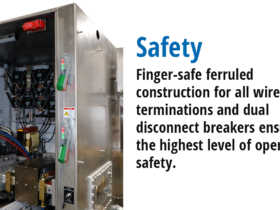 Finger-safe ferruled construction for all wire terminations and dual disconnect breakers ensure the highest level of operator safety.